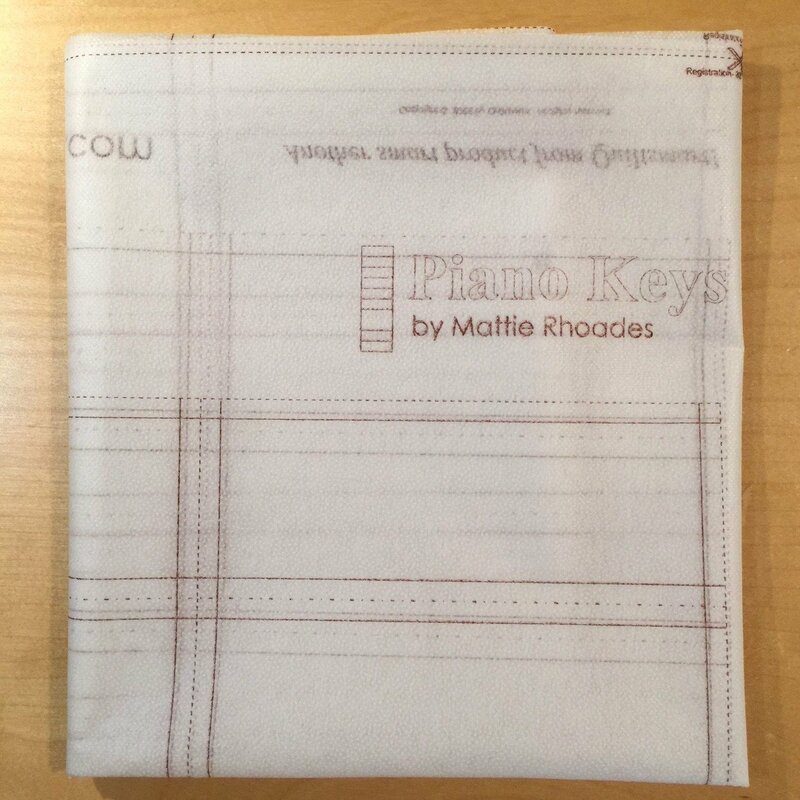 Piano Keys work great for a border or for Chinese Coins Pattern. Just fuse 2.5" fabric strips to the interfacing, fold and stitch on the line, cut apart and press. You will have long perfect strips in no time. It's easy for beginners and smart for everyone! Piano Keys printed interfacing by the panel. Pattern INSTRUCTIONS SOLD SEPARATELY! Each panel makes (36) 2" x 6" finished piano keys - 2 yards of border.